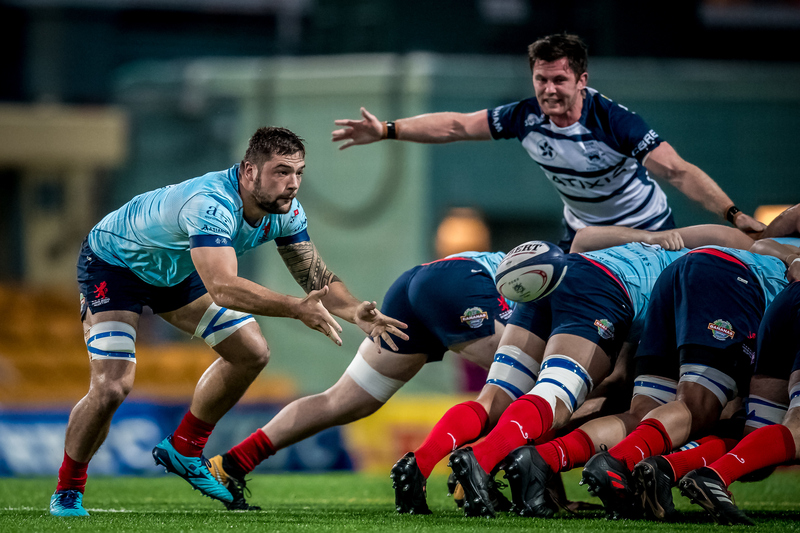 Bloomberg Hong Kong Scottish hosts Natixis HKFC in a mouth-watering top of the table tie in the Saxo Capital Markets Premiership Game of the Week tomorrow at Shek Kip Mei. In other Premiership action, Societe Generale Valley will play Kerry Hotel Kowloon in Happy Valley, while Borrelli Walsh USRC Tigers face off with Herbert Smith Freehills HKU Sandy Bay in Aberdeen. All Premiership games kick off at 1500. Scottish enter the pivotal clash after an upset loss to Sandy Bay last weekend, while Football Club turned in yet another confident win, this time over Kerry Hotel Kowloon, to leapfrog Scottish and claim sole possession of first place for the first time this season. Saturday’s match is shaping up to be a test of form and will, one that could end up being both decisive in the hunt for the league title and a prelude of the grand final. Last week’s win marked Club’s fourth straight victory, (another season first for them), while Scottish marked a stat of another sort in suffering back-to-back losses for the first time in what has until now been a blemish-free campaign. “It’s all riding on this weekend,” admitted Scottish coach Craig Hammond, who is confident his side can bounce back from a few off performances of late. “We’ve struggled with losing a few boys over the past few weeks, but we were up 24-3 against Sandy Bay and you have to win games like that. To lose two on the bounce and let go of that top spot on the table for the first time, we’ve done that to ourselves,” added the no-nonsense Kiwi. Hammond believes his side has done the requisite soul-searching: “There’s pressure, and then there’s handling pressure. Last week, we didn’t handle that pressure correctly. There was some disappointment, but we have had a good tough week in training and shared a few home truths. Hammond knows how tough that prospect will be considering Football Club continue to build strength and depth as the season rolls on, with a couple of dangerous looking new additions on since the end of year break. “It’s not going to be easy. We played them pre-Christmas and it was an absolutely bruising physical encounter, and I expect nothing different on Saturday,” Hammond said. With a game in hand on Football Club, Scottish remain in a strong position and in this year’s Premiership anything can happen. “We know it won’t be easy, but we also know that win or lose we still have three games after the break to get back to our winning ways. Last year, we weren’t even in the hunt for the top spots. This season, it’s in our own hands, so I’m not really stressing how this weekend goes. “Win or lose, if we don’t get it right, we can still get it right in those last three games,” he said. The strength in depth in Shek Kip Mei has been tested heavily in January, losing winger Connor Hartley and scrumhalf Mark Coebergh to season-ending injuries in successive weeks, while last week’s match saw several players sidelined with flu including Hong Kong lock Kyle Sullivan. Sullivan and others will be back on Saturday, while Hammond is also hoping that prop Owen Evans will be passed fit for Football Club. “A lot is riding on this weekend, and we realise that. Let’s see if we can respond to it. Last week wasn’t good enough and we know that. We were disappointed, but there’s always next Saturday and that’s the great thing. The boys have to get back on that horse. “We will be in that game for sure and I think it’s going to be quite intense and exciting,” Hammond added in a perfect summation of the Saxo Capital Markets Premiership season so far.